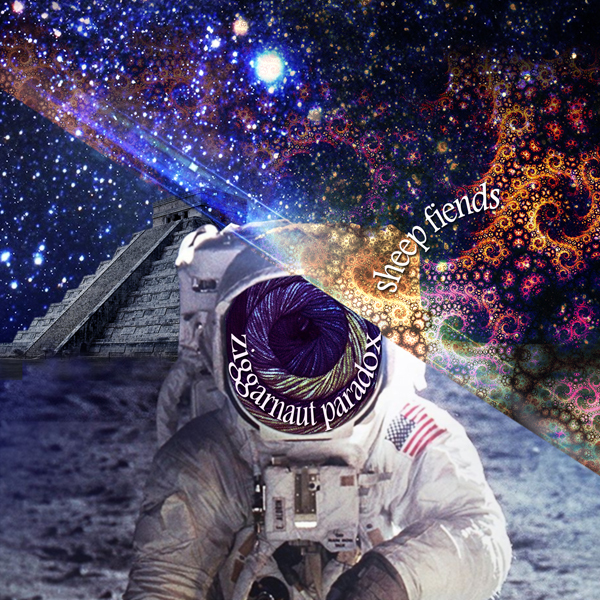 1: Ziggarnaut Paranormalisisis (3:27) Rating: 4 Lyrics by: MX Skroch Record date: 02/22/2014 DDD digital multitrack recording by Brian McNally Copyright © 2014 The Sheep Fiends Foundation. 2: Temporary Worker (5:39) Rating: 4 Lyrics by: Matthew Cramer Record date: 02/22/2014 DDD digital multitrack recording by Brian Cameron Copyright © 2014 The Sheep Fiends Foundation. 3: The Vexed (6:38) Rating: 5 Lyrics by: Sid Prise Record date: 02/22/2014 DDD digital multitrack recording by Brian Cameron Copyright © 2014 The Sheep Fiends Foundation. 4: Dan Ryan Shithead (3:03) Rating: 5 Lyrics by: MX Skroch Record date: 09/17/2011 DDD digital multitrack recording by MX Skroch Copyright © 2011 The Sheep Fiends Foundation. Note: The multitrack master of this song was unfortunately lost, but Scratch made a recording on his cell phone from the vocal booth that captured the drums and vocals, providing a framework for overdubbed guitars and samples. Contributions by Greg Winston are Copyright © 2012 Greg Winston. Other contributions are Copyright © 2012 The Sheep Fiends. This song as recorded with The Sheep Fiends © The Sheep Fiends Foundation. Note: This song was not included on "The Seventeenth" since the vocals were badly clipped. The clipping was corrected, but was not finished until after that album was already released. 6: It All Ends Today (3:04) Rating: 4 Lyrics by: Brian McNally Record date: 02/22/2014 DDD digital multitrack recording by Brian McNally Copyright © 2014 The Sheep Fiends Foundation. 7: Ghost Train (Of Milwaukee Avenue) (6:44) Rating: 3 Lyrics by: Matthew Cramer & MX Skroch Record date: 08/10/2013 DDD digital multitrack recording by MX Skroch Copyright © 2013 The Sheep Fiends Foundation. 8: Organasm (5:40) Rating: 4 Record date: 02/22/2014 DDD digital multitrack recording by Brian Cameron Copyright © 2014 The Sheep Fiends Foundation. Note: The bass guitar is overdubbed. 9: On My Way (There) (4:14) Rating: 5 Lyrics by: MX Skroch Record date: 02/22/2014 DDD digital multitrack recording by Brian McNally Copyright © 2014 The Sheep Fiends Foundation. 10: Supposed To Be (8:05) Rating: 5 Lyrics by: Matthew Cramer Record date: 02/22/2014 DDD digital multitrack recording by Brian Cameron Copyright © 2014 The Sheep Fiends Foundation. 11: Project RATATAT (5:52) Rating: 5 Lyrics by: Brian McNally Record date: 09/11/2010 DDD digital multitrack recording by MX Skroch Copyright © 2010 The Sheep Fiends Foundation. Note: Some of the percussion and keyboards were overdubbed.